This week’s free Weekly Learning Download is all about preparing your kitchen for Passover from our practical Halachah Sefer: The Kosher Kitchen. It’s that time of year again. Jewish homes all over the world are being cleaned and scrubbed in preparation for Passover. As Pesach approaches, many of our readers will be “turning over” their kitchens – making their year-round kitchen ready for their Passover cooking. 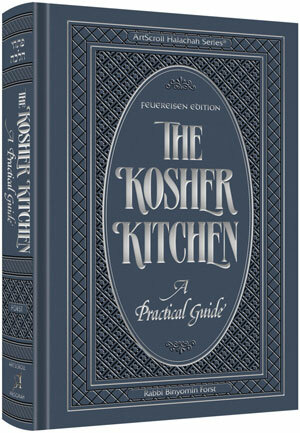 To help you with that transition, this week’s learning download features a practical guide to kashering your kitchen, excerpted from The Kosher Kitchen. Click here to view, download and print KASHERING FOR PESACH Excerpted from The Kosher Kitchen. Click here to purchase The Kosher Kitchen with an exclusive online discount. Find our weekly downloads useful? Please spread the word to your friends so they can enjoy this series as well!